Landmark College icons John and Ellen Wood have been part of the community since 1992, living on campus for all twenty-five years. In their decades at the College, they have supported countless students, raised their own three children—Caitlyn, Liz, and James—and helped to bring dogs to the residence halls. 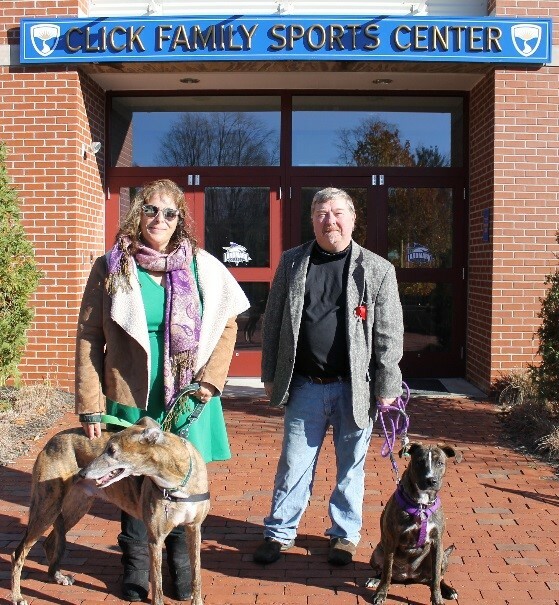 Currently they live on campus with greyhound Nigel and Plott hound Jessie-Anne. As resident deans, John and Ellen both work closely with students. John is also the head coach of the men’s basketball and baseball teams and an adjunct professor in Physical Education. Ellen is the head coach for women’s basketball and softball and an adjunct professor in the PE and Communications Departments.